Matsue is a true castle town, home to one of the twelve remaining original castles in Japan, Matsue Castle. 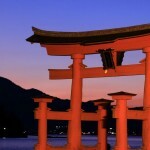 Matsue and its surrounding areas are rich in cultural assets and historical sites. Matsue Castle was built as a fortress over a five-year period and completed in 1611 by the local feudal lord and founder of Matsue City, Yoshiharu Horio, with the castle town built around it. The wooden castle tower was constructed in four sections and appears to be five stories from the outside, but has an entire floor hidden inside. Among the 12 original castles, Matsue Castle has the second largest donjon (keep), is the third tallest at 30m and is the sixth oldest. It is the only castle remaining in the San-in Region. 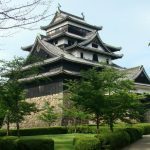 Built in a watchtower-style, and perched atop a 28 metre high plateau known as Jozan, Matsue Castle is a hilltop castle with a commanding presence in the centre of the city. Designed for warfare, it features many defensive elements, like a host of precarious stairways, a large turret affixed to the main building, arrow and gun holes, holes for dropping stones along with an underground well in case of siege. 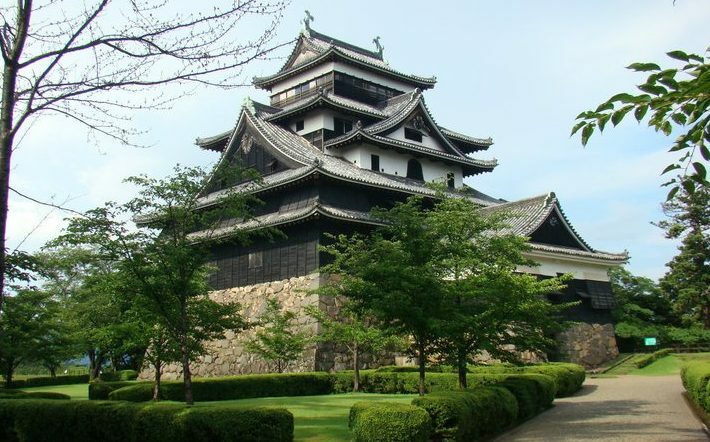 Matsue Castle has an overall dark appearance, with wooden panelling covering a large part of the castle tower. The black-painted wooden panel would protect the castle from fire. The top floor offers a 360 degree view of the surrounding area making the castle both a lookout point and strategic control tower. This lookout point and other defence features of the castle were built as a form of protection in case the castle were to be attacked. However, Matsue castle was built after the last great war of feudal Japan and it never saw battle. The outward appearance of the castle, with its spreading roofs and decor is often compared to the wings of a plover bird, which has led to the castle’s nickname, Plover Castle (Chidori-jo). After the Meiji Restoration of 1868 most castles in Japan were tore down. Matsue Castle was not immune, and the turrets and gates of Matsue Castle were torn down in 1875. When the castle tower was about to go through the same destiny, the people of the city tried desperately to save it. Due to pressure from interested parties, the castle was saved. Though centuries have gone by, the castle has been well maintained and preserved, allowing it to continue to project its strength and beauty today in the same form as it was 400 years ago. The designation of Matsue Castle as a National Treasure was officially announced on July 9th, 2015 making it the fifth Japanese castle to be designated. Inside the castle, there is a large collection of historical artefacts. Each floor is dedicated to specific displays such as the armour, swords, and helmets of the samurai in the time of war, materials used to build the castle and a pictorial display of the castle’s history, photos of all the castles throughout Japan, and miniature replicas of the layout of Matsue as it has changed over time. 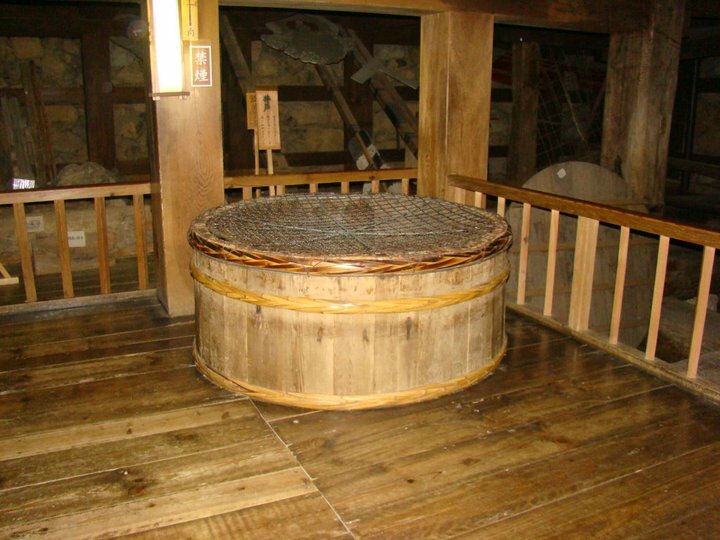 The original shachi (mythical dolphins believed to protect a castle from fire) of the castle’s roof are also located inside the castle. The top floor has an impressive panoramic view of the entire city and surrounding area, including Lake Shinji (Japan’s 7th largest lake). From here, you can experience the same extensive view of the city as the samurai and warlords had. The castle is surrounded by forests, shrines, and temples. Enjoy a peaceful walk through the woods of Matsue Jozan Park and take in the calm atmosphere and nature. The castle grounds are known as one of the best 100 cherry blossom viewing spots in Japan. In late March and early April, the castle festival is held when the cherry blossoms are in full bloom, and the place is lively with events and food stands. The autumn-coloured leaves are also beautiful in late November. Next to the castle, is Matsue Shrine, which is said to have been constructed at the same time as the castle itself. The canals built throughout the town to protect the castle are largely unchanged from when they were first constructed over 400 years ago and still follow a centuries-old course along the old stone walls of the castle. 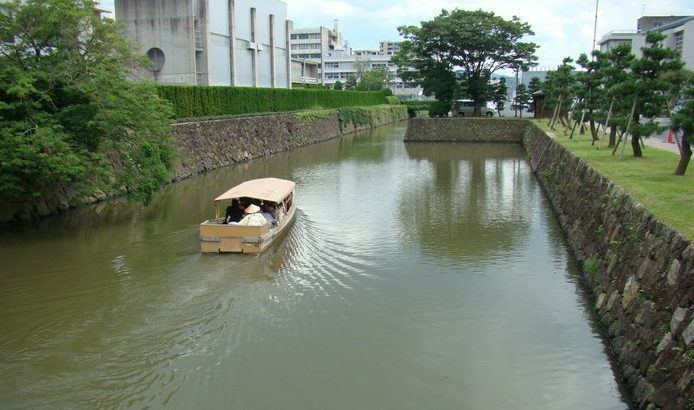 The Horikawa Sightseeing Boat circles the castle’s historical inner and outer moats and allows you to take in the sites of the castle and its surrounds from a different perspective. While cruising around the Horikawa River the boatmen and boatwomen share the history of the area (audio recordings in English are available). Nearby, the picturesque Shiomi Nawate is a 500m long traditional Japanese street running along the castle moat. 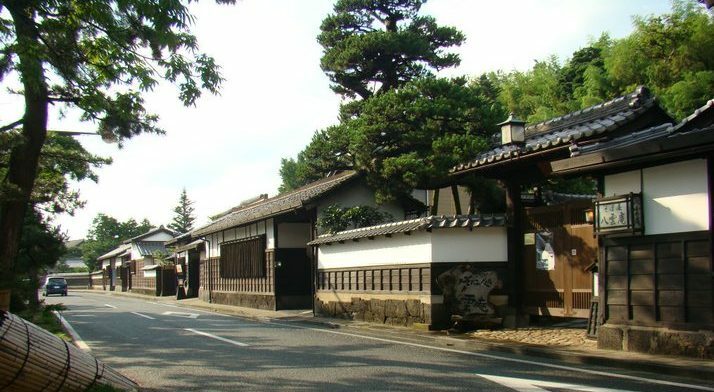 It’s lined with historical buildings such as former samurai residences, traditional Japanese houses and tea ceremony rooms, and the Lafcadio Hearn’s (one of the first Westerners to take up Japanese citizenship) former residence and museum. Matsue Castle is located 2 kilometers northeast of JR Matsue Station and is in the centre of many of the city’s tourist attractions. There are a few options to choose from in getting there, but I prefer to rent a bicycle from Eki-Rent-a-car Kansai (inside the station parking lot) which costs around 500 yen for the day. You can also take the Matsue Lake Line Bus, a tourist bus painted in red with wooden panelling inside, for 200 yen one way, or purchase a one day pass which costs 500 yen. 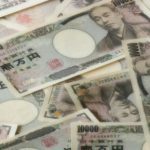 There are great discounts offered to international visitors for entry to most of the tourist sites in and around Matsue. Just present a valid non-Japanese passport when you purchase your tickets. Matsue is included in our Beauty of Japan – Sanin Sanyo and Idyllic Japan – Chugoku, Shikoku self-guided tours. We can create a personalised itinerary for your trip to this beautiful castle town.